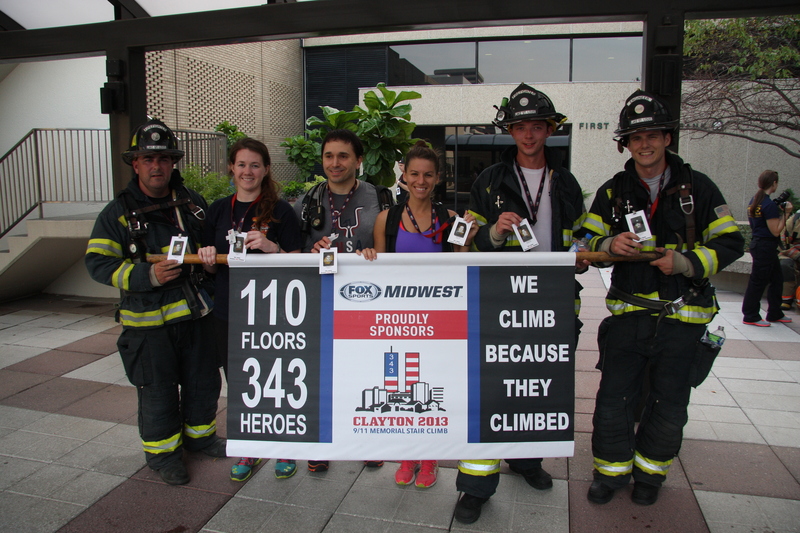 About 3 weeks ago, I found out by accident from a teammate of mine from The Fight for Air Climb race in March about a really intriguing and challenging 9/11 Memorial Stair Climb event in Clayton, MO on September 8th. 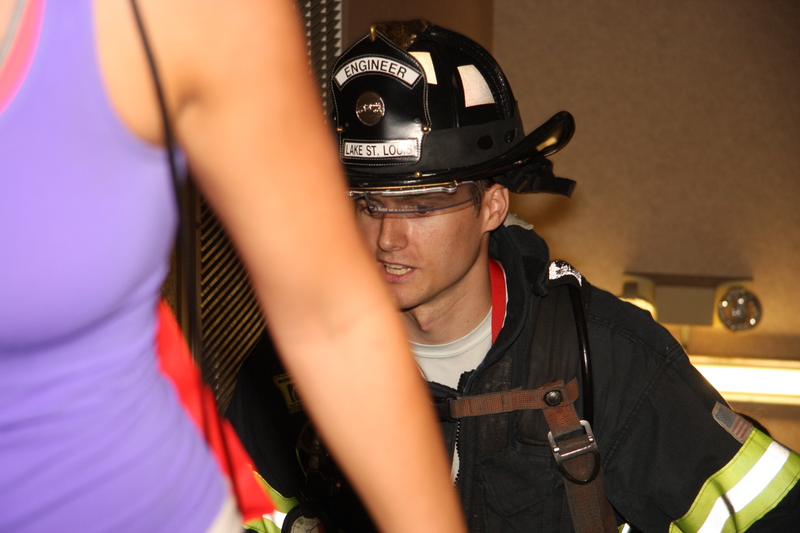 I had been on and off continuing to train the stairs once a week over the summer (recently had only done it about 3 times in the last 7 weeks) and really liked stair climbing (as a form of training and as an event) so I thought I would look into it deeper. 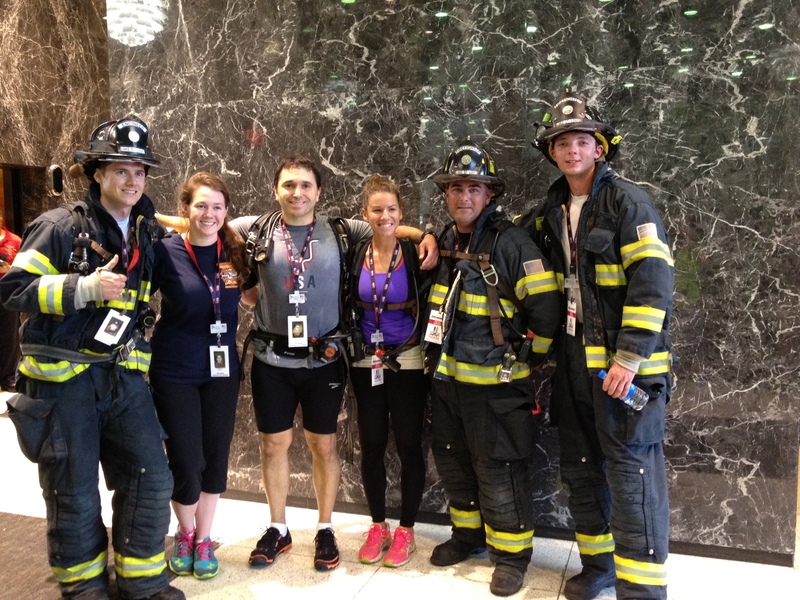 Without question the first thing that stood out to me was that we would be asked to climb 110 floors! The most I had raced was 40 at the Met and the most I had ever climbed in training was 66… so to be honest initially it sounded like a bit too much. It felt like it would be quite an serious accomplishment but I wasn’t sure I was up for it considering I hadn’t been climbing very much or especially hard over the summer. But then I started to think about it more…. I don’t really have any races of any significance until my Across the Years 24 Hour Race in December, so I thought it would be fun to do something tough and exciting just to get my blood flowing. Still I really had some reservations and it was mostly around the number of floors. They chose 110 floors to attempt to replicate the number of floors of the World Trade Center at the time. At the time, it was the highest building in the country. 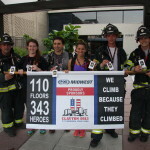 There are stair climbs that are very high like the John Hancock building climb but even that only goes to 94 floors. I remember (a few months ago) of thinking of doing that one this coming February.. but thinking that I would have to train very hard for it. 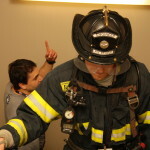 * that the group always stayed together during the climb (as firefighters always stick together).. that it wasn’t a timed race and that if one member needed to slow down or stop then the group stayed with them until they were ready. This information gave me a bit of relief.. mostly the “it’s not a race” part. I thought that if we weren’t hammering up the floors that I might be able to do it. Plus it was for such a great cause and benefited the Fallen Firefighters Fund.. it made me feel like I would be doing it for more than myself and that motivated me. How many times do we get involved with an event and actually feel like we are having a positive impact on a group other than ourselves. So (as is usually the case with races) I just decided to do it and signed up! So I continued my training basically as I had originally set out for the Across the Years race. I didn’t expect to add any additional stair climbing before the event, but thought perhaps to increase my volume a bit on the days that I did it. Everything was going basically according to plan until my 8 mile run at the Flatlanders 6/12 Hour race on September 1st when I slightly retore my right foot’s plantar fascia. ARRRGGHH! Because walking around that Monday after was significantly challenging, I didn’t have a lot of hope for doing this stair climb early in the week. I really very much wanted to but wasn’t sure how I possibly could since just getting from the car to my desk at work was challenging. I was very luck to get to see my podiatrist and chiropractor that week and they said they thought I could do it because I wouldn’t be involving my plantar much if I was just climbing upward. There was very little decelaration (like there is in running) so my podiatrist thought it may hurt to do it, but I shouldn’t hurt my foot any more. Well I was really excited then! After having read about Kenneth on his Memorial website, I honestly started to tear up a bit. It was such a moving tribute and he seemed like such a good man that I really wanted to climb those 110 floors (even though I wasn’t sure that I could) for him, his family and what he did for New York City (and our country). I felt like I must do it. I was utterly compelled to do it! One thing that I thought about was what to do on Saturday. I normally have a pretty serious gym workout on Saturdays and they have become my deadlifting days. I thought about the fact that one might say “If you are worried about how challenging this climb is going to be, then maybe you should give yourself a little extra fuel by not working out on Saturday or at least not doing the heavy deadlifts.. why make it harder than it already will be” But then I thought about the fact that a firefighter could be called at anytime to do his duty and so does that mean that they never workout? Of course not. They can’t make it any easier on themselves, so I decided I wouldn’t either. 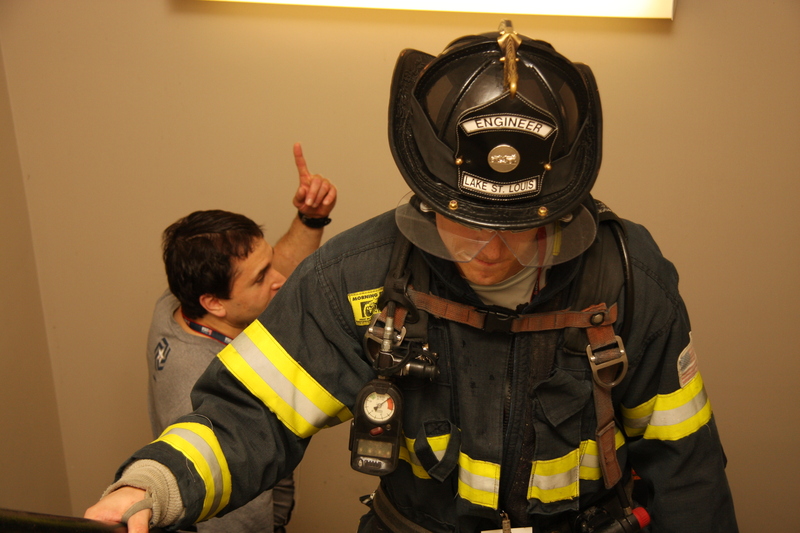 Had nothing to do with trying to make it a bigger feat, it just felt like the right thing to do to make me feel closer to what a firefighter might feel like. 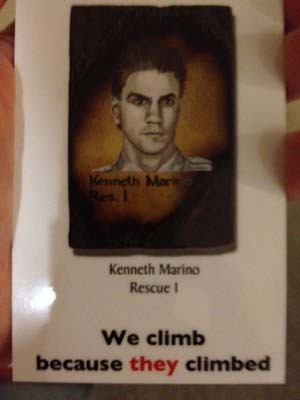 One amazingly cool thing happened the morning of the climb… I tweeted out that I was going to be doing this Memorial Climb and that I was doing it for Kenneth. I put in Kenneth’s Memorial website in my tweet and somehow about 20 minutes later his daughter Kristin (@Kristinn_Marino) found my tweet and got in contact with me and followed me the rest of the day! That was just amazing and made the day that much more special and inspiring. I wrote to her that it was truly and honor and a priviledge and it was. There is no question that I thought about her and her family at many points during the climb. 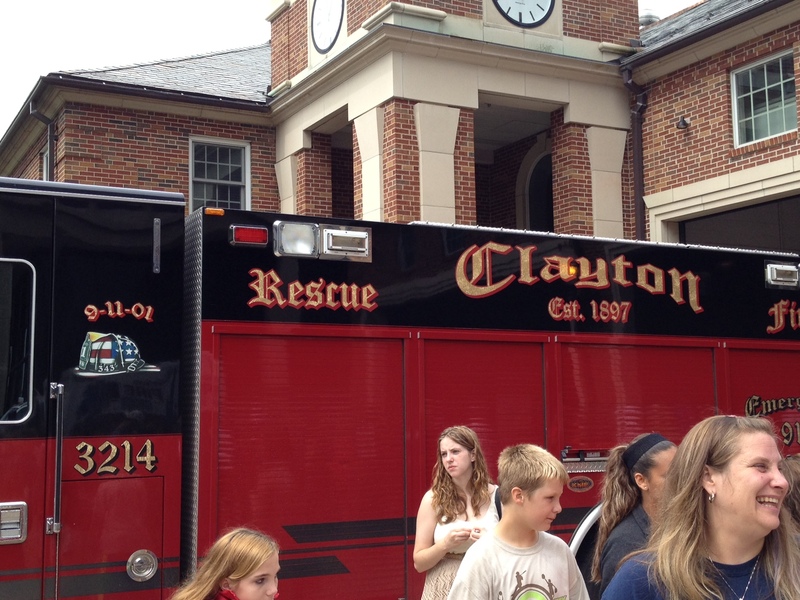 So I got to the Clayton Fire Department around 12:30 and was my normal gently nervous self (before attempting an event/race that I was unsure of). I was really excited but also questioning slightly what I got myself into. I was really impressed with the organization and set up of the department. 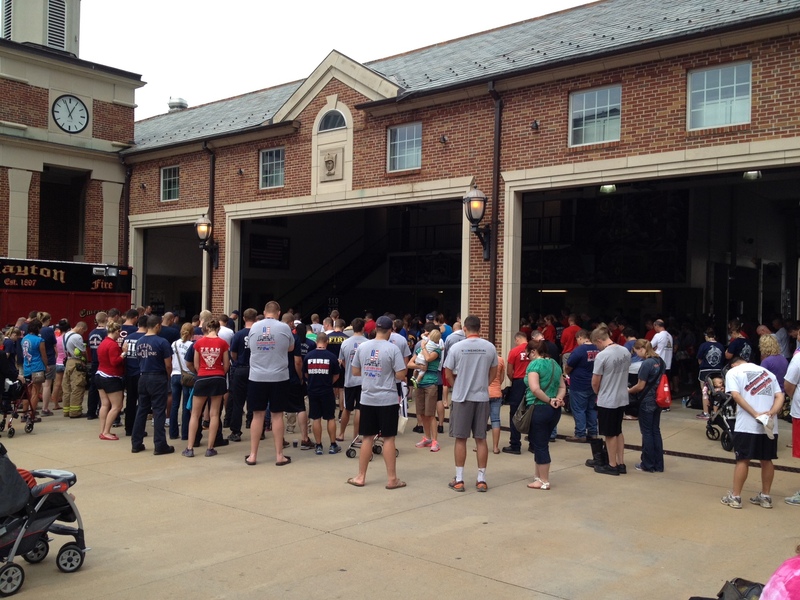 Everyone and everything felt like we were there to do something special. 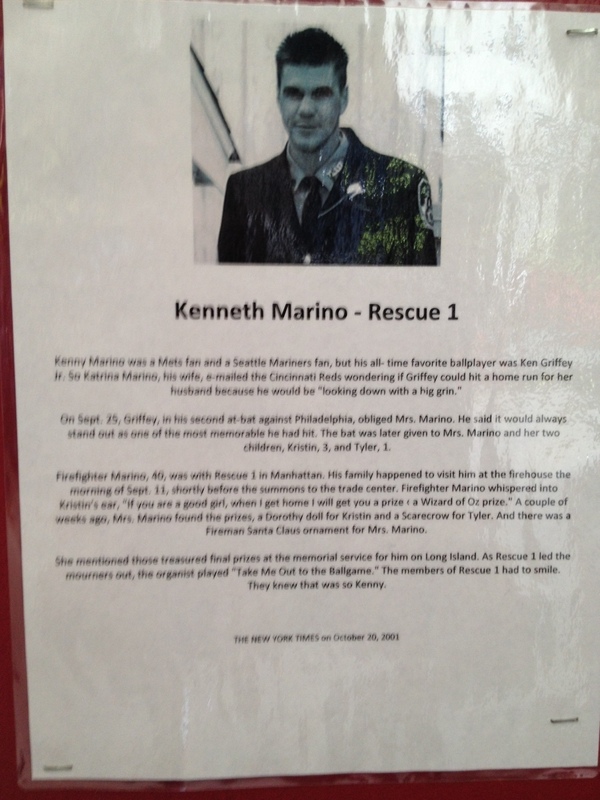 They had put up a big board detailing all of the firefighters and looking for and finding Kenneth emboldened me immensely. I was nervous but I was going to do this. I had to do this. 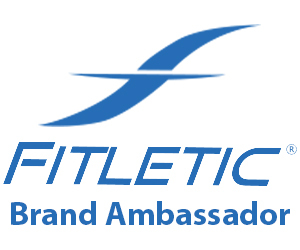 What I was attempting to do was just a pretty challenging athletic endeavor.. what they did was the work of heroes and I felt like in a small way I had earned the priviledge of honoring them. It was starting to feel amazing powerful. I was starting to feel like I was a part of something really meaningful. At this point there was one problem though… how to find my team? They had emailed out earlier in the week that I was on Team 9 and the names of my team members, but I didn’t know any of them and there weren’t any signs up for Team 9 to “meet here”. Well I just asked around randomly if anyone was on Team 9 and I found one and then the rest of them. 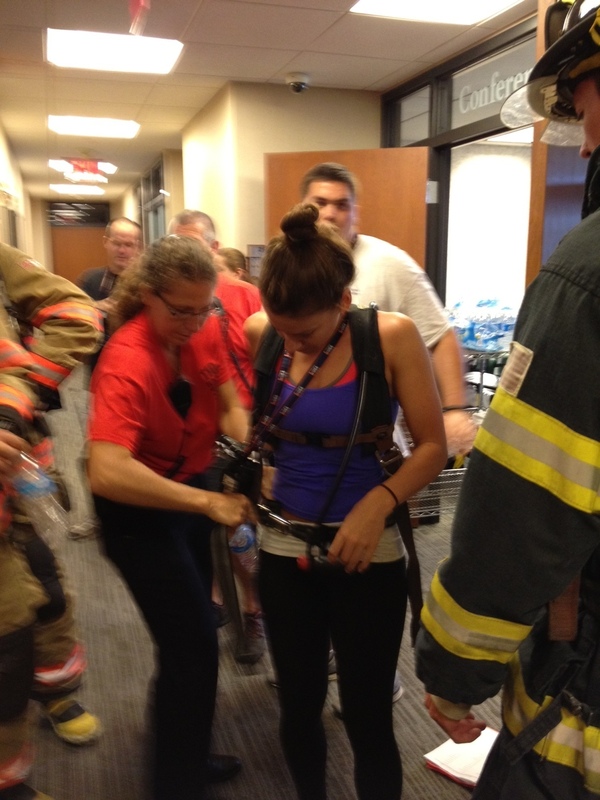 There were 3 firefighters (all from the Lake St. Louis, MO fire department and all in full gear with their tanks) and 2 other civilian women on my team. We only had a few minutes before we started to line up for the climb. The climb started out well enough. 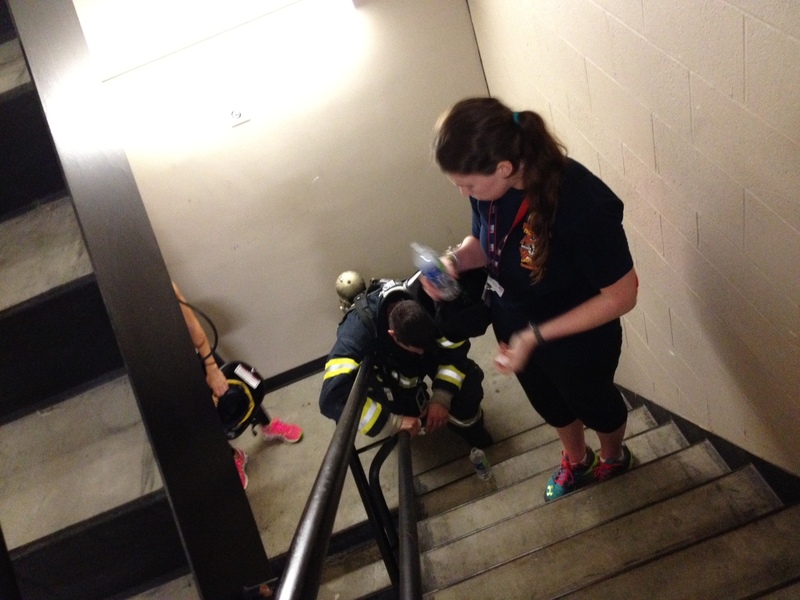 My initial impressions were that the stairs were steeper and the stairwell was hotter and narrower than I anticipated. I could tell pretty quickly that it was going to be a serious trial. We went off on the first round at a solid climbing pace (no one was running up the stairs and for good reason) and just kept that good march going. Almost immeadiately we all talked a bit to each other.. offering encouragement, cracking jokes and just doing whatever we thought we could do for each other to help us go up! 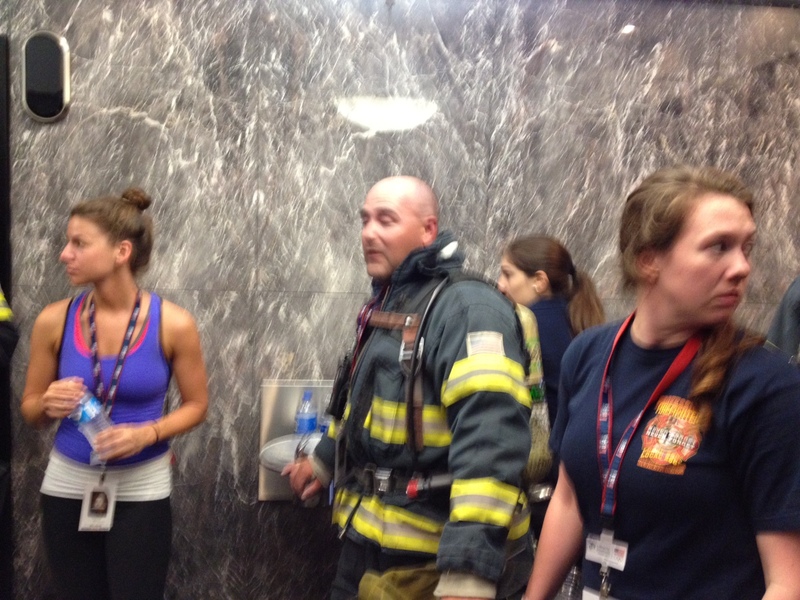 22 floors down and we exited and got to the elevators. The 1st Round was not too bad. Easier than I thought to be honest. One of our team members asked for a 30lb tank to carry and they found her one. I thought that was pretty badass! And I asked if they had another one… they didn’t but they might have one later in the climb. We took the elevators down and started up again. We decided it would be fun and cool if we took turns who led the group up each time (we basically stayed in the order which we started) and I thought that was great. I ended up leading the last round. The 2nd Round started to take it’s toll on some in the group. It was hot for me in there wearing thin moisture wicking clothing, but I am sure it was absolutely sweltering for the three firefighters in our group at this point. 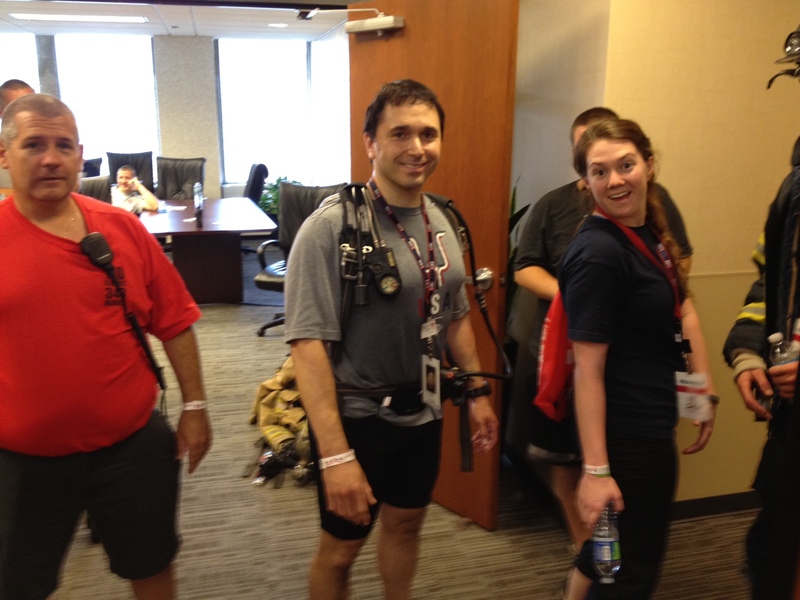 They outfit is not made to keep them cool, it is made to help keep them alive and heading up to reach the 44th floor this took it’s toll on a few of our members. This 2nd Round required a few stops by the group to regroup and catch the breath. At every floor there were doors to that floor that we could open and we did a couple of times because it was tremendously cooler on the actual floor than in the stairwell. I yelled out at one point to the team “They can put a man on the moon, but they can’t make light firefighting gear!” That got a chuckle out them. 44 floors down and not too much worse for wear. I was able to find a tank and thought that was the coolest thing ever at the time : ) The way I looked at it was the majority of those climbing were carrying tanks and the rest of their gear.. why should they have all the fun! 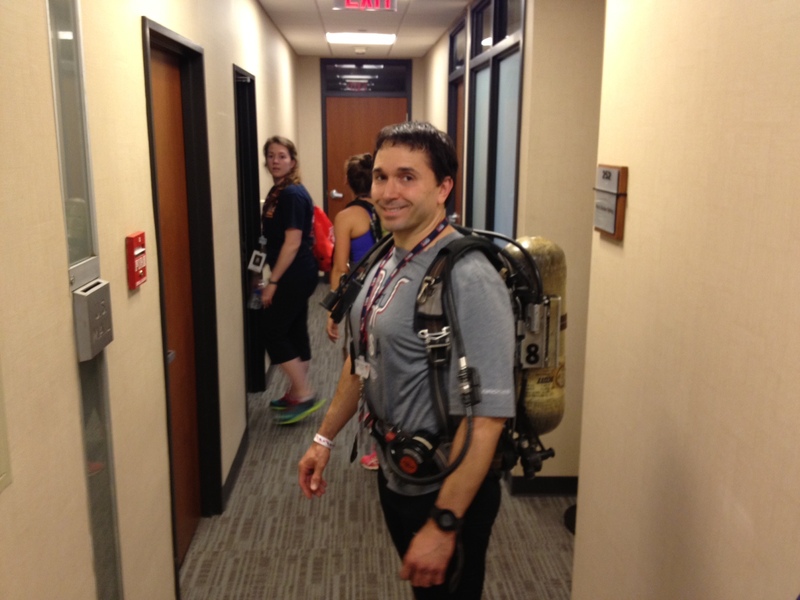 So for the last 66 floors I carried this 30lb tank with me. 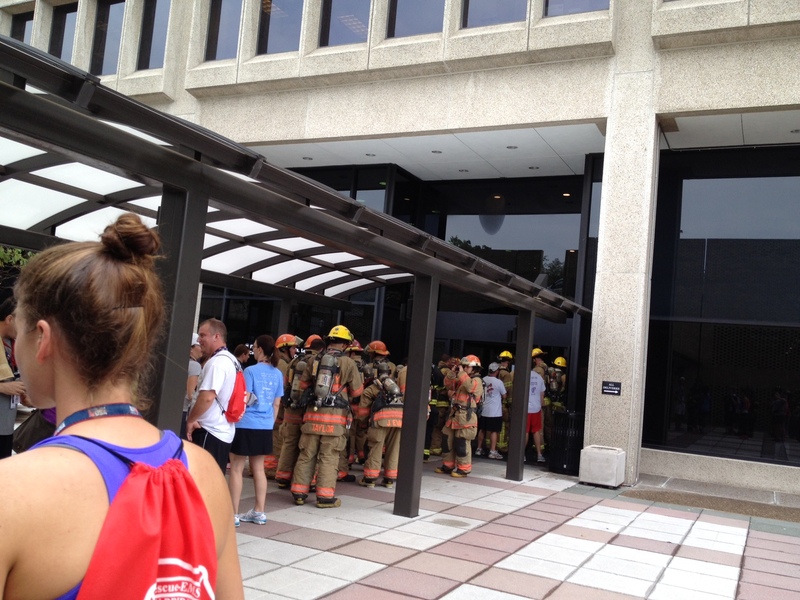 It was at this point when the fire alarms started going off?! 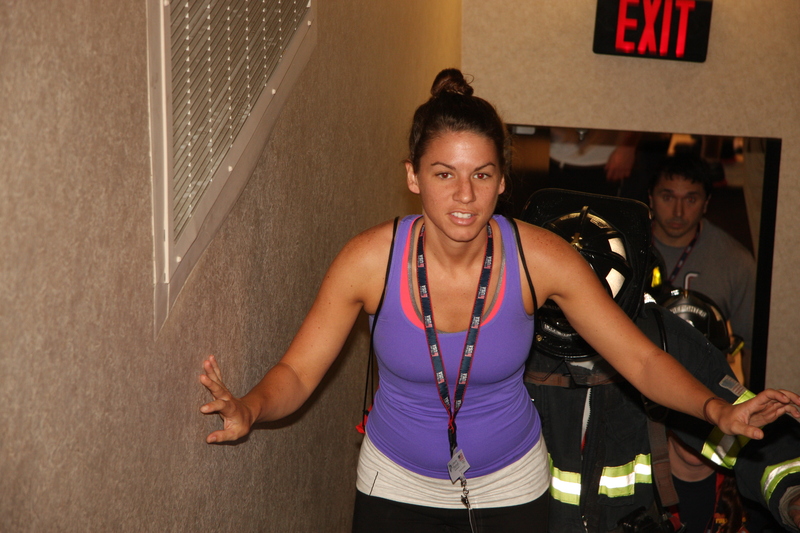 I know right.. the fire alarms starting going off with 100’s of firefighters in the building… I still don’t know why they were going off but it plagued the rest of the climb and every time (this being the first) that we got to the elevators we had to wait longer than we wanted to to get down. In some ways it didn’t actually make it easier.. we really wanted to get going and not get stiff. 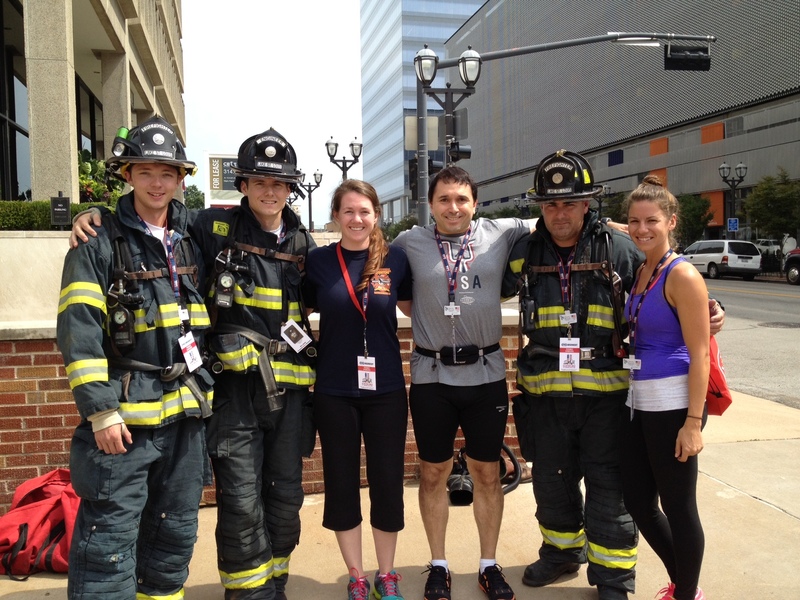 One of the firefighters on the other teams told me as I was climbing (he was making his way past our team) that he had done a Memorial Climb outside at a stadium in his hometown a couple of months ago.. in the heat and both up the stairs and down! Now that would be tough (and incur crazy soreness the next day.. those down stairs are brutal). I don’t remember too much interesting about the 3rd Round except that I was excited that it was done. The tank didn’t feel too bad at all. For some reason I found it kind of fun carrying it. It just felt a little more serious somehow. On the 2nd and 3rd Rounds I saw at least 2 dozen climbers that really looked like they were suffering when they were taking breaks during the climb… sitting on the steps, leaning against the walls or just lying there. It was getting tough no doubt. The 4th Round is when things started to change.. climbers (especially the fully outfitted firefighters) were slowing down and at points really struggling. 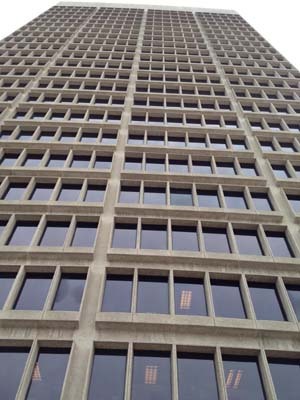 We had climbed a lot of floors at that point and were trying different things to keep our minds off of it… one of the girls started playing some music on her phone, we started calling out how many floors we had left until the elevators every floor and just generally trying to laugh here and there. When we got to the 17th floor on this climb, a previous climber had lost his lunch pretty badly and it reminded us of how serious of a challenge we were undergoing (and also to tip toe around it : ) Oh and one thing that really kept catching us off guard the last 2 Rounds was the fact that whenever a door shut within the stairwell it made a huge BOOM! because of the vacuum that was created. It was really startling (each time actually.. I guess that was because we were getting a bit delirious) and woke us up you could say. The 5th Round took it’s toll. There were many climbers dropping to their knees. It was really exciting that it was our last climb up and I have to say that I really felt like we bonded in just those 110 floors. I really felt like a close knit team from the beginning and it only got stronger as we helped each other accomplish this feat. I think we all knew what doing this meant and we weren’t going to let each other down. That was really awesome. Well then we made it up and what a celebration that felt like!! 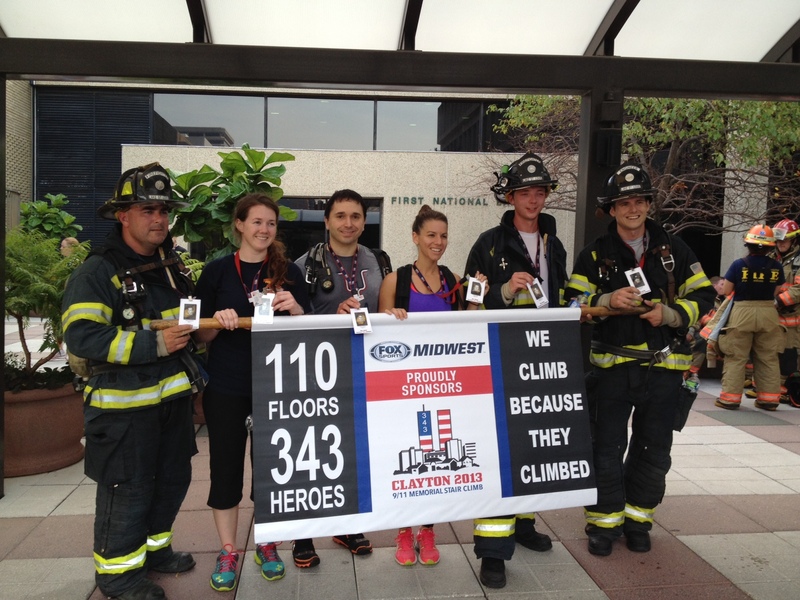 110 floors for 343 Heroes!! 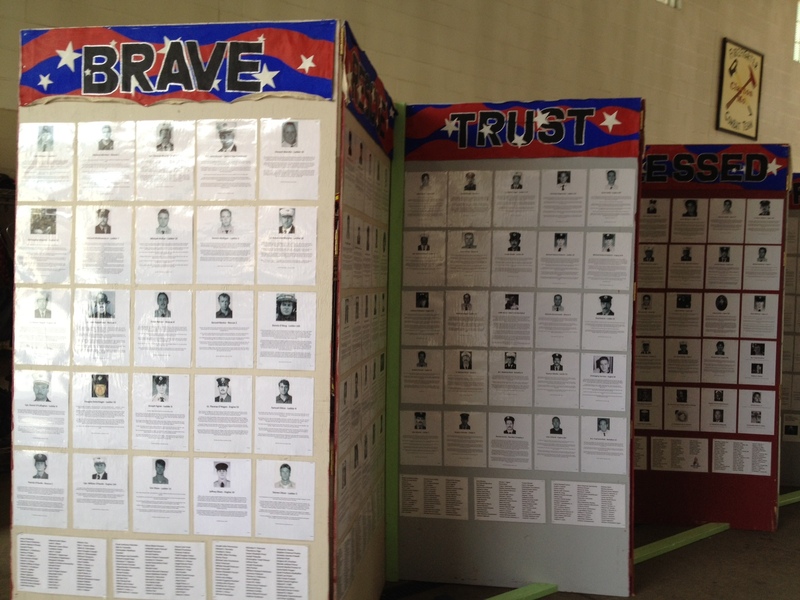 What a great feeling to overcome the fear and accomplish something real for some wonderful heroes. It made it that much more special that I really liked my team and hope somehow we might meet up again next year. They were all awesome!! 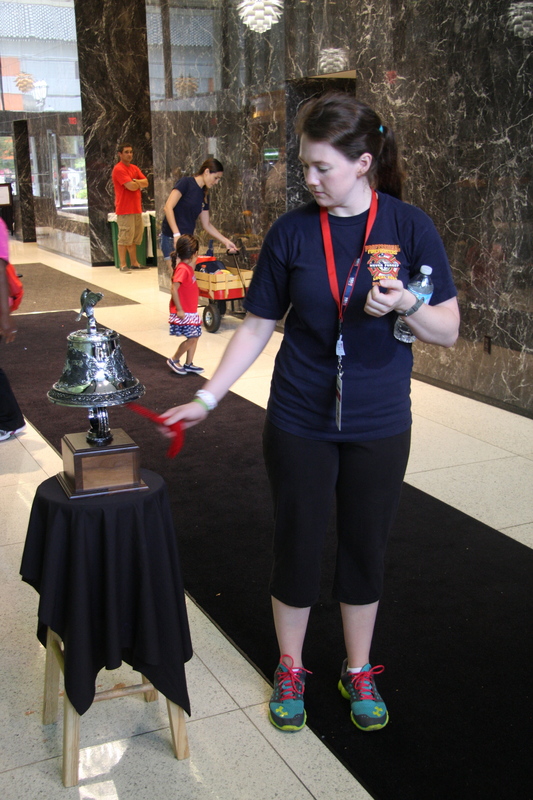 When we got down to the bottom floor again, we all rang the bell 3 times in memory. I was not expecting that and it was really emotional. I have to be honest… I couldn’t get the smile off of my face. It was such a beautiful experience and felt just so right. It has been a long time since an athletic event felt that powerful. I can’t wait to do it again next year! On another note… I have to be honest.. I was quite surprised and happy at the fact that I really never felt it to be that hard. I think I am in better shape than I give myself credit for and that makes me feel good being 4 months out from a crazy race. I really believe that my leg (and core) training in the gym made the climb easier too. The front and side lunges and heavy high rep deadlifts gave my legs strength that carried me through when I was carrying the tank. 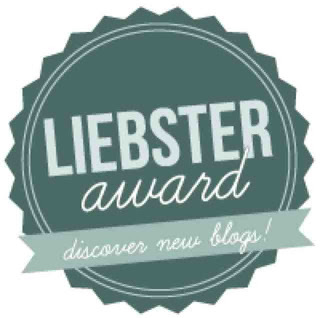 This was somewhat surprising but very gratifying as I am not running at the moment. I guess I haven’t lost too much fitness and have gained a decent amount of strength. I was thinking about the race at various times during the climb and (while they are very different) I think this climb helped strengthen me mentally for it. More shots of us in action! On Sunday, We climbed because they climbed. I climbed because Ken climbed. 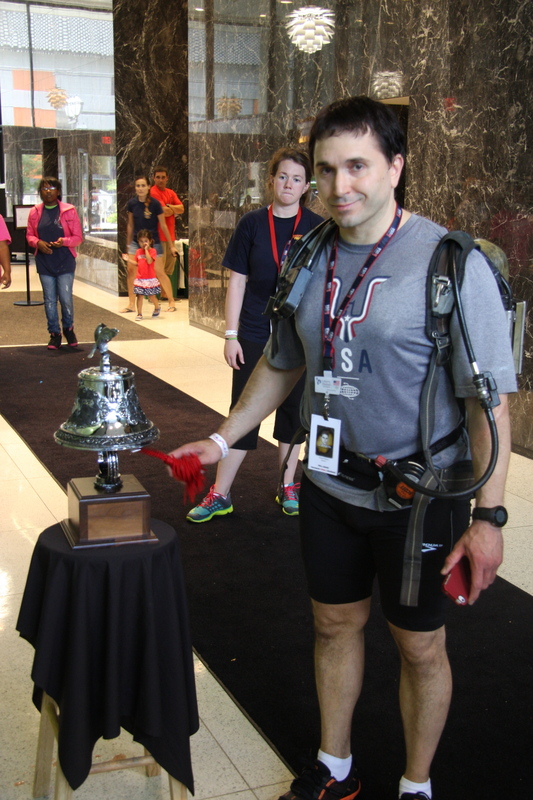 This entry was posted in races, Stair Climbing on September 11, 2013 by Chris M.